Pearl Handled Revolver have announced that the next studio album titled ‘Fantasy Reigns’ will be launched on CD, Vinyl and download/stream on 5th July 2019. Pearl Handled Revolver have travelled a long way to get to 2019. Thankfully, over the last decade they have had the decency to send regular updates of their escapades. Their four EPs, two Live albums … ..
Pearl Handled Revolver are pleased to announce the launch of their 9th release on 9th March 2019. This full length album features LIVE performances of the band’s ‘Down n Dirty’ set. The album titled ‘DOWN TIME’ features recordings from a selection of the more intimate shows over 2018. “The vibe was so strong at these very special performances and the … ..
Pearl Handled Revolver is 10 this year. Pearl Handled Revolver celebrate their 10th Anniversary in 2018. To mark this their achievement the band will be performing a very special show at their home venue of Esquires in Bedford on 23rd December. The evening will feature some very special guests on stage with the band, new material, songs from the vaults, something from each album, plus the fantastic … ..
Pearl Handled Revolver would like to thank all the wonderful people who came to watch us perform at the Cambridge Rock Festival. We put our hearts and souls into a set of many colours, it contained new songs and older favourites, psychedelic vibes and our hard rock numbers. We are so grateful to have shared this very special show with … ..
Pearl Handled Revolver have been invited to perform at HRH Ibiza Road Trip. Some of you may have seen PHR perform at HRH events in the past, appearing at HRH Prog and HRH Blues Festivals. 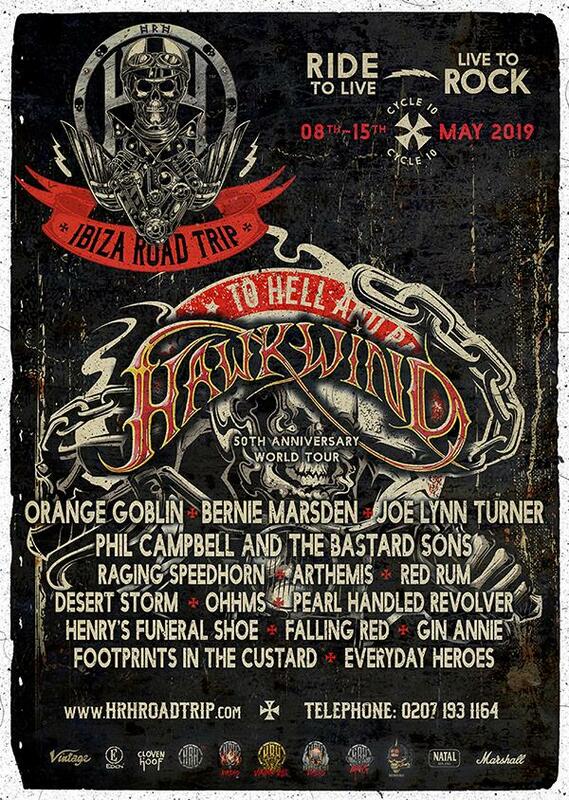 HRH Road Trip is in May 2019 but tickets are available to purchase from www.hrhroadtrip.com Also on the bill is Hawkwind as part of their … ..